Married to Eucaris…has 4 sons, Eduardo Jr., Raul, Jose Emmanuel and Diego, and 1 daughter, Isadora...Traded to the D-backs for RHP Jhoan Durán, OF Ernie De La Trinidad and OF Gabriel Maciel. Established career highs in home runs (23), doubles (48), on-base pct. (.334), slugging pct. (.489), OPS (.824), walks (52), runs scored (75), RBI (84), games (151), hits (154), total bases (277) and at-bats (566) while hitting .272 in 151 combined games with the D-backs and Twins.... Ranked second in the Majors in doubles, behind Alex Bregman/HOU (51)...His 48 doubles were tied for ninth most all-time in a season by a switchhitter with Dmitri Young/CIN (48 in 1998)…also the 48 doubles were tied for the fifth most in a season by a Venezuela-born player...Led all third basemen with a .983 fielding pct. (5 E in 299 TC), ahead of Anthony Rendon/WSH (.981), and the best fielding mark at that position since Placido Polanco/MIA in 2013 (.990)...Acquired from Minnesota on July 27 for RHP Jhoan Durán, OF Ernie De La Trinidad and OF Gabriel Maciel...Signed a 3-year contract with the D-backs through 2021 on Oct. 22. Made Twins Opening Day roster for fifth consecutive season and sixth of major league career (Chicago-AL, 2012)...Tied career-high with five hits (6 at-bats) in a Twins 20-7 win over Seattle June 13...Hit safely in career-high nine straight games June 13-22, hitting .472 (17-for-36) with four doubles, two home runs and six RBI during the streak... Made first career appearance as catcher June 6 at Seattle; caught catcher Chris Gimenez, who was making one of his six appearances on the mound...Hit .354 (29-for-82) with four doubles, four home runs and 10 RBI in 24 August games; ranked seventh in the AL in average...Recorded 100th career double August 17 vs. Cleveland (Game 2)...Recorded second career multi-homer game September 2 vs. Kansas City; the first home run was his 13th, setting a single-season career high; tied single-game career high with six RBI...Tied for third in the AL in RBI from August 17 through the end of the season...Named one of six finalists for the 2017 Marvin Miller Man of the Year award representing the Twins...Became Twins primary third basemen in Miguel Sanó's absence (DL) from late August through end of season...Hit .255 (41-for-161) with seven home runs as right-handed hitter and .253 (75-for-296) with 14 home runs as left-handed hitter...Played 79 games (77 starts) at third base, 16 games (12 starts) at shortstop, nine games (7 starts) at second base, two games (0 starts) in left field and one at catcher...Set career highs in RBI (73), home runs (21), runs (62), triples (5), walks (33) and stolen bases (5)...Made postseason debut in AL Wild Card game October 3 at New York-AL, going 2-for-4. Made Twins Opening Day roster for fourth consecutive season and fifth of major league career (Chicago-AL - 2012)...Placed on 15-day disabled list May 7 with a left groin strain; reinstated May 23...Hit safely in season-high seven straight games June 17-24, hitting .440 (11-for-25) with one double, two triples, two home runs and nine RBI during the streak...Homered in back-to-back games for the second time in career June 17 and 18 vs. New York-AL...Hit .306 (11-for-36) with three doubles, two home runs and six RBI in 11 July games...Made first career pitching appearance August 11 vs. Houston (Game 1), pitching 1.0 scoreless inning with one hit allowed...12th time in club history for position player to pitch and ninth different player...Hit .249 (60-for-241) as left-handed hitter and .207 (23-for-111) as right-handed hitter...Played 71 games at shortstop (66 starts), 23 at third base (20 starts), six at second base (2 starts) and two in leftfield (no starts)...Given 2016 Carl R. Pohlad for Outstanding Community Service. Made Twins Opening Day roster for third consecutive season and fourth of his major league career (White Sox - 2012)....Set season-high with five RBI May 6 vs. Oakland....Went 4-for-4 with two doubles May 16 vs. Tampa Bay...according to Elias, it marked the second time in his career to go 4-for-4 or better in a game as a shortstop with the other such game coming on April 30, 2014 vs. Los Angeles-NL...no other player in baseball had more than one game of 4-for-4 or better as a shortstop from 2014-15....Recorded third career walk-off hit and second of career as a Twin August 11 vs. Texas off Spencer Patton, hitting an RBI-double with two outs in the ninth inning in a Twins 3-2 win....Recorded first career two-homer game August 26 at Tampa Bay, both as a left-handed batter....Scored a run in 12 straight games August 20-September 3, tied for third longest streak in Twins history with Rich Rollins (1964), trailing only Kirby Puckett's 14 (1986) and Orlando Cabrera's 13 (2009)...the streak was tied with Colorado's Nolan Arenado for longest in baseball in 2015....Hit 30th double September 22 vs. Cleveland, giving him consecutive 30-plus double seasons.... Ranked fourth in batting average (.286) among AL shortstops from July 31 until end of season; also ranked first in doubles (18), second in slugging percentage (.524), tied for third in home runs (8) and tied for fourth in runs (31)....Became everyday shortstop at end of August and hit .287 (39-for-136) with 12 doubles, one triple, seven home runs, 23 RBI and 23 runs scored in final 38 games of season....Hit .277 (36-for-130) with seven home runs as right-handed batter and .254 (71-for-279) with five home runs as left-handed batter....Set single-season career-highs in home runs (12), triples (4), RBI (58) and walks (28)....Played 71 games at shortstop (all starts), 35 in leftfield (27 starts), 11 games at second (4 starts), five at third (all starts) and one in rightfield. Made Twins Opening Day roster for second consecutive season and third of his career (ChicagoAL in 2012)...Set single-game career-high with four hits April 30 vs. Los Angeles-NL...Started first career game in left field May 7 at Cleveland, playing 8.2 innings and making three putouts...Started first career game in centerfield May 8 at Cleveland, playing 8.0 innings, making two putouts and recording two outfield assists...Became second "primary infielder" in club history to record two outfield assists in a single game, the other being Jeff Reboulet May 20, 1996 vs. Milwaukee...Became Twins primary shortstop in early May when Twins optioned Pedro Florimon...started 19 straight games at shortstop May 23-June 10...Hit go-ahead solo home run to break 0-0 tie in top of 10th inning May 5 at Cleveland off John Axford; became second Twins player in the last 15 years to break a scoreless tie in extra innings with a homer, the previous being Jim Thome September 11, 2010 at Cleveland...Hit safely in career-high eight straight games May 10-18, hitting .419 (13-for-31) with six doubles during the streak...Hit .322 (29-for-90) in 27 May games with 13 doubles - tied with Ian Kinsler (May) and Denard Span (June) for most doubles in any month among all major leaguers...Hit .314 (53-for-169) with 21 doubles, 19 runs scored, 12 walks and a .357 on-base percentage in his first 55 games (through June 15)...Recorded career-high five hits August 22 vs. Detroit, falling a double short of the cycle...According to Elias Sports Bureau, he became the first player to collect five hits, including a home run, in a game from either the eighth or ninth slot in the lineup since Detroit's Carlos Pena had six hits, including a pair of homers, at Kansas City in 2004...Became second Twin on the season to get hits off five different pitchers in the same game - Danny Santana did it against the Chicago-AL on August 3...Recorded career-high six RBI September 27 at Detroit...Hit .328 (43-for-131) with 17 extra-base hits (4 home runs) from the right side and .252 (76-for-302) with 26 extra-base hits (2 home runs) from the left side...The .328 average from the right side ranked third best in baseball among all switch hitters...Ranked second on the Twins in doubles (35) and tied for 10th in the AL...Played 98 games at shortstop (86 starts), 25 games at third base (23 starts), nine at second base (6 starts), two in leftfield (1 start) and one in centerfield (1 start)...Given the Charles O. Johnson Award for Twins Most Improved Player as voted on by the Twin Cities Chapter of the BBWAA. Made Twins Opening Day roster, marking his second time on a major league Opening Day roster (Chicago-AL in 2012)... Hit walk-off two-run double April 3 vs. Detroit, giving the Twins the 3-2 victory and his second career walk-off hit... Hit first career home run April 9 at Kansas City, a solo shot off Jeremy Guthrie... Optioned to Triple-A Rochester July 14... Recorded back-to-back four-hit games August 11 and 12 at Norwich... Finished the Triple-A season with a season-high nine-game hitting streak August 25-September 2... Named International League Player of the Week September 3 after leading the IL with 12 hits, three home runs, nine RBI, seven runs scored, and a .867 slugging percentage in the season's final eight games...on the final day, went 4-for-5 with three doubles, one home run with five RBI September 2 vs. Scranton-Wilkes/Barre... Hit .307 (51-for-166) with 16 doubles in 43 games on the season for Triple-A Rochester... Recalled by Minnesota September 9 and hit .324 (11-for-34) in 11 games to finish the season. Appeared in 36 games for Chicago-AL, playing third base, shortstop and second base...hit .207 (18-for-87) with four doubles, a triple and14 runs scored. ... Entered season ranked as the 10th best prospect and best defensive infielder in White Sox organization for third straight season by BaseballAmerica. ... Acquired from Chicago-AL in exchange for Francisco Liriano July 28, 2012; spent entire season on White Sox 25-man roster prior to beingtraded to Twins...added to Twins 40-man roster and assigned to Triple-A Rochester. ... Hit .217 (30-for-138) with three doubles, three triples, one home run, nine RBI and 19 runs scored in 35 games for Red Wings...committedjust three errors while playing third base (17 games), shortstop (10 games) and second base (9 games)...recalled by Twins September 4. ... Made Twins debut, going 2-for-4 with three RBI and two runs scored September 4 at Chicago-AL...recorded RBI-single in first Twins at-bat. Spent the majority of the season with Class AAA Charlotte, but appeared in nine games with the WhiteSox (.286, 2-7)...played in three games at shortstop and two at second base for the Sox...was recalled fromCharlotte on 9/3 and made his Major-League debut that night at Detroit...entered the game as a defensivereplacement at shortstop and picked up his first Major-League hit, a single off Justin Verlander...batted .266(130-489) with 23 doubles, four triples, four home runs and 49 RBI in 137 games with the Knights...appearedin 107 games at shortstop and 30 at second base...collected a season-high four hits on three occasions (5/11at Columbus, 8/21 vs. Gwinnett and 8/25 at Durham)...batted .396 (19-48) over his last 11 games, includingan eight-game hitting streak from 8/25-31 (.436, 14-32)...hit .255 (47-184) with one home run and 19 RBI in 53games with La Guaira in the Venezuelan Winter League...entered the season ranked by Baseball America asthe Best Defensive Infielder in the White Sox system for the second straight year...also tabbed by the samepublication as the No. 5 Prospect in the Sox organization. Combined to hit .277 (158-570) with 26 doubles, 11 triples, six home runs and 61 RBI in 136 gamesbetween Class A Winston-Salem and Class AA Birmingham...was named to the mid and postseason CarolinaLeague All-Star Teams...was named the CL Best Defensive Shortstop by Baseball America...ranked amongthe Sox organizational leaders in triples (2nd, 11), runs scored (T2nd, 79), hits (T2nd, 158) and total bases (T6th,224)...appeared in 28 games with the Peoria Saguaros in the Arizona Fall League, hitting .300 (33-110) withfour home runs, 15 RBI and 22 runs scored...ranked among AFL leaders in total bases (1st, 59), triples (T1st,5), runs scored (2nd), home runs (T3rd) and hits (T3rd)...was named to the AFL West Division Rising StarsTeam...entered the season ranked as the Best Defensive Infielder in the Sox organization by Baseball America... played in six games with La Guaira in the Venezuelan Winter League. Hit .256 (119-464) with three home runs and 41 RBI in 128 games with class a Kannapolis...led theteam in runs scored (64) and stolen bases (20)...posted a 16-game hitting streak from 8/18-9/3, batting .426(26-61)...hit .269 (7-26) in 26 games with La Guaira in the Venezuelan Winter League. Made his professional debut with Advanced Rookie Great Falls and Kannapolis, batting .281 (75-267)in 66 combined games...played in six games with La Guaira in the VWL. Spent the entire season with the Dominican Summer League White Sox. Made his professional debut with the Venezuelan Summer League White Sox. July 28, 2018 Arizona Diamondbacks activated 3B Eduardo Escobar. December 26, 2016 SS Eduardo Escobar assigned to Tigres de Aragua. May 23, 2016 Minnesota Twins activated SS Eduardo Escobar from the 15-day disabled list. May 20, 2016 Minnesota Twins sent SS Eduardo Escobar on a rehab assignment to Fort Myers Miracle. November 2, 2014 SS Eduardo Escobar assigned to Tigres de Aragua. 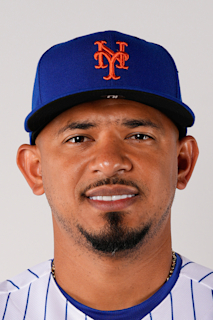 January 31, 2014 SS Eduardo Escobar assigned to Venezuela. October 9, 2013 SS Eduardo Escobar assigned to Caribes de Anzoategui. September 9, 2013 Minnesota Twins recalled SS Eduardo Escobar from Rochester Red Wings. July 15, 2013 Minnesota Twins optioned Eduardo Escobar to Rochester Red Wings. October 25, 2012 Tiburones de La Guaira traded SS Eduardo Escobar to Caribes de Anzoategui for RHP Eduardo Figueroa and OF Miguel Rivero. September 4, 2012 Minnesota Twins recalled Eduardo Escobar from Rochester Red Wings. July 31, 2012 Eduardo Escobar roster status changed by Rochester Red Wings. July 29, 2012 Minnesota Twins traded LHP Francisco Liriano to Chicago White Sox for SS Eduardo Escobar and LHP Pedro Hernandez. July 29, 2012 Minnesota Twins optioned SS Eduardo Escobar to Rochester Red Wings. September 2, 2011 Chicago White Sox recalled Eduardo Escobar from Charlotte Knights. March 14, 2011 Chicago White Sox optioned Eduardo Escobar to Charlotte Knights. December 14, 2010 Tiburones de La Guaira signed Eduardo Escobar. November 19, 2010 Chicago White Sox selected the contract of Eduardo Escobar from Birmingham Barons. August 31, 2010 Eduardo Escobar assigned to Peoria Saguaros. July 14, 2010 Eduardo Escobar assigned to Birmingham Barons from Winston-Salem Dash. April 2, 2010 Eduardo Escobar assigned to Winston-Salem Dash from Kannapolis Intimidators. March 12, 2010 Eduardo Escobar assigned to Chicago White Sox. March 6, 2010 SS Eduardo Escobar assigned to Chicago White Sox. October 8, 2009 SS Eduardo Escobar assigned to Tiburones de La Guaira.